This is to inform all the candidates offered provisional admission into the University of Uyo (UNIUYO) DEGREE programmes for the 2017/2018 academic session, that the management has released the amount to be paid as acceptance fee and the payment procedure. Read Also: UNIUYO Admission List. 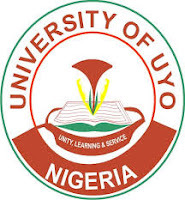 Go to UNIUYO portal @ https://uniuyo.edu.ng/eportals/. Enter Registration number in the required field.